Four months ago, Facebook Live was released to Mentions, a Facebook app for celebrities. I stumbled onto it on the day that they released it when Gary Vaynerchuk made his first live stream from his Mentions account. A notification popped up in my Facebook app, letting me know that Gary had just gone “live”. It became immediately obvious to everyone who tuned in to Gary’s live stream that Meerkat and Twitter’s Periscope were about to go head to head with Facebook. Facebook announced on December 3, 2015 that the service would be made public. This will open up a new world for people to share experiences and connect with each other in real time. According to Facebook’s news release, Live will roll out to a small percentage of US iPhone users and eventually expand. Users will be able to live stream their experiences with friends and family, or live stream to the public if they wish. 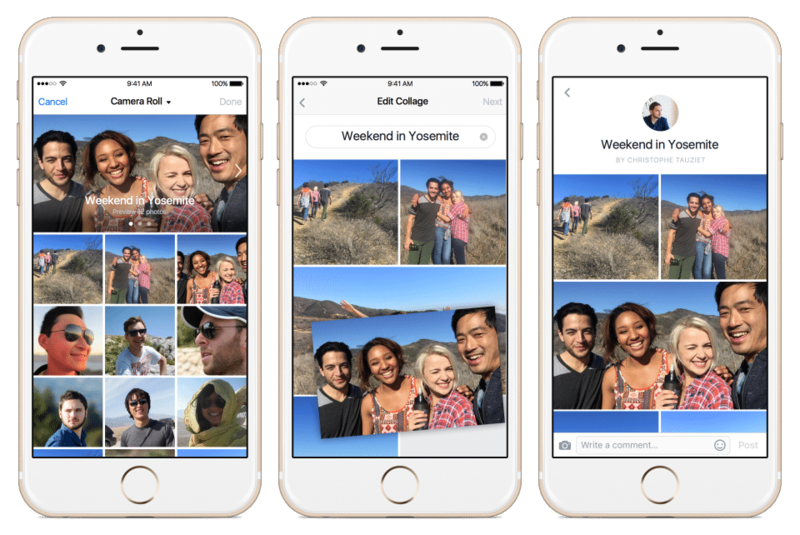 In addition to live streaming, Facebook is launching Collages, which allows you to share photos and videos from experiences. Business owners; allow me to preface this next paragraph by saying that you should only start a live stream if you plan on adding value to the lives of your customers. There are plenty of creative ways to add value. Going Live with a sales commercial isn’t one of those recommended ways. 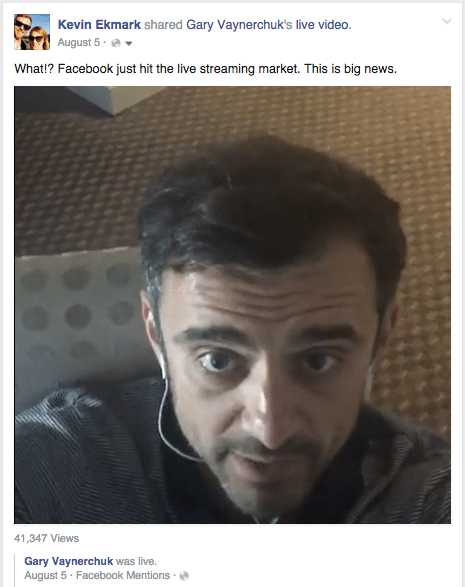 Facebook Live for business use will eventually be a great tool to help your customers. As of now, we haven’t seen an update for businesses. Our #AskAWebOp series has been streamed on Meerkat and Periscope for about 10 episodes now. The goal of live streaming has been to provide customers, non customers, and industry friends an opportunity to tune in and ask us their most pressing Internet marketing questions in real time. It was also an all access pass to our production, which helped show off personalities with an authentic touch. We enjoyed the process, viewers enjoyed the content, so TrustWorkz is excited for this feature to roll out for businesses. Want to learn how to use LIVE when it rolls out to your Facebook profile? Check out Facebook’s LIVE tutorial.